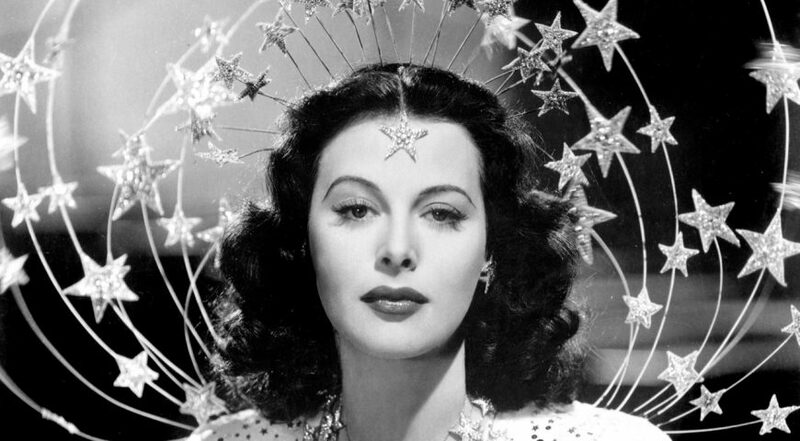 1940’s Hollywood star Hedy Lamarr was known as the world’s most beautiful woman. However, her beauty and glamorous life stood in the way of her being recognised as an ingenious inventor. It was only towards the end of her life that technology pioneers discovered her ideas which are now being used as the basis for secure WiFi, GPS and Bluetooth. On Thursday 12 April, 1.30pm a film about her life will be shown at the Copper Auditorium of Square Chapel Arts Centre. Tickets (£5-£7) can be purchased online at the Square Chapel website or by calling the Box Office on 01422 349422. We began talking about the war, which, in the late summer of 1940, was looking most extremely black. Hedy said that she did not feel very comfortable, sitting there in Hollywood and making lots of money when things were in such a state. She said that she knew a good deal about munitions and various secret weapons … and that she was thinking seriously of quitting MGM and going to Washington, DC, to offer her services to the newly established Inventors’ Council. Their invention was granted a patent on August 11, 1942 (filed using her married name Hedy Kiesler Markey). However, it was technologically difficult to implement, and at that time the U.S. Navy was not receptive to considering inventions coming from outside the military. In 1962 (at the time of the Cuban missile crisis), an updated version of their design at last appeared on Navy ships. Lamarr and Antheil’s work with spread spectrum technology contributed to the development of Bluetooth, and Wi-Fi.